We built our activity-based selling technology right into our power dialer. We always know which actions need mention next, as you focus of the tools of selling that are under your control. Our auto dialer software may be complex but using it certainly isn't. 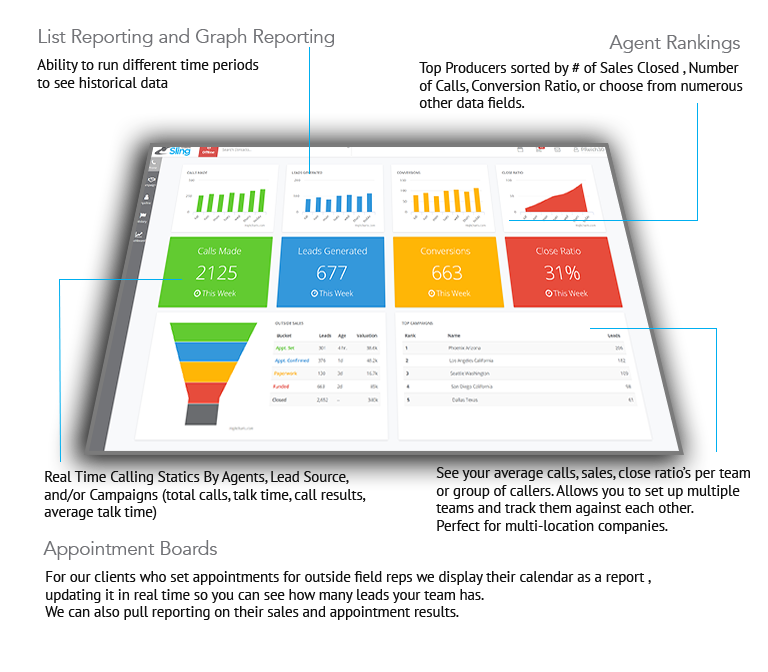 We have simplified call center software by focusing on intuitive interfaces, clean layouts and a simple user experience. As they say, we eat our own dog food. Our software was built for sales people by sales people. 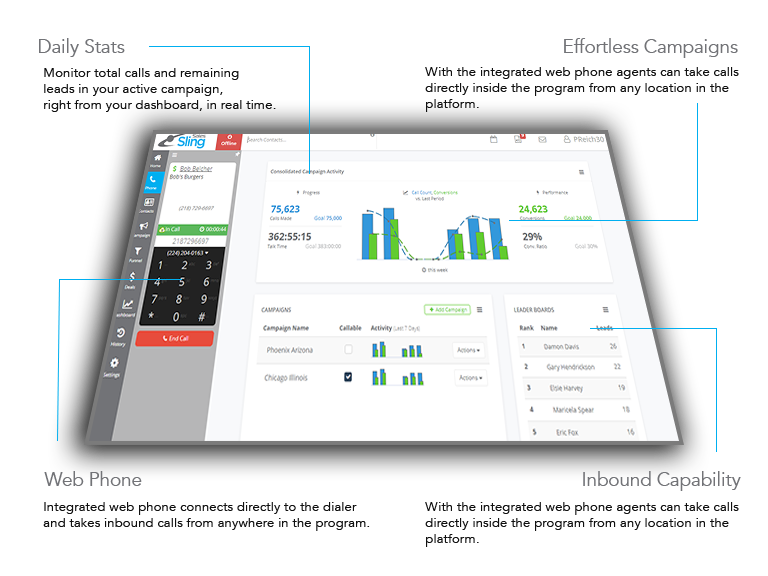 We use Sales Sling to power our call center and run our business and it can power yours too. Call Barging and Whispering Allows you to whisper into the ear of an agent during a call without the client hearing and to take over a call if necessary. This is invaluable when training new talent. Predictive Dialer Decrease downtime and increase talk time with our intelligent predictive dialer. Auto Dialer App A cloud based system ensures all of your information is stored securely in one location that can be accessed from anywhere. So whether you are looking to engage a remote workforce or open several smaller locations this option offers you the tools and flexibility you need. Local Presence Dialing Studies have shown that dialing from an area code local to a contact can increase your pickup rate up to 40% over a non-local phone dialer, so our smart dialing system will look at the area code and address of your contacts and assign a local number before each call.